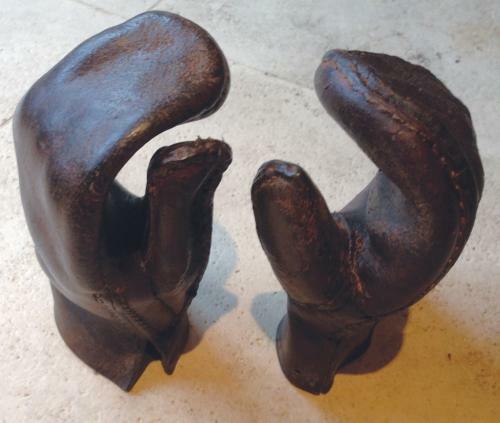 Pair of early leather Hedger's gloves, strong leather and so stiff they stand up! Probably circa 1900. I was told that these were used for pruning roses which they may well have been however they are known more for avoiding the thorns when coppicing and hedge laying. The stitching is in good condition too.